ARC Modular & Construction Ltd. can design & engineer modular commercial projects to meet your requirements along with local building code & architectural control compliance. In most cases, our method saves considerable time & money versus site-built projects. These projects include motels, hotels, multi-family housing, industrial offices, employee housing, senior complexes, offices, stores, and custom structures. Generally, ARC will manage projects from the planning & development stages through construction, and to completion (occupancy permits). Commercial grade specifications will vary based on factors such as intended usage, zoning & land use bylaws, fire code requirements and more. In addition, foundations types vary based on the structural engineering required. The most common are helical screw piles, ICF concrete craw space (grade beams), concrete slab on grade, and ICF basements. To start researching & planning your commercial project, contact ARC with some general information such as intended use, desired location, project goals, projected budget and timelines. Hotels & motels: Designed & built to accommodate budget, land use & density requirements, modular structures are becoming a popular & more affordable means of commercial development. 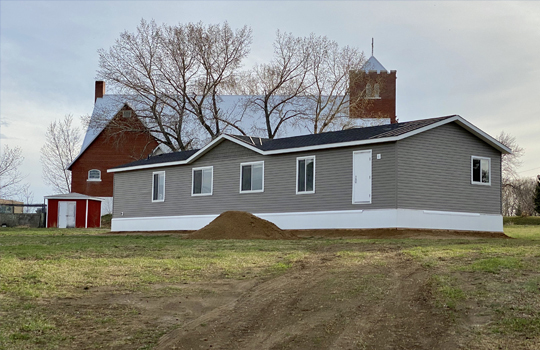 Whether you need a home, cottage, commercial building, or construction services, ARC has quality solutions that are customizable and affordable.